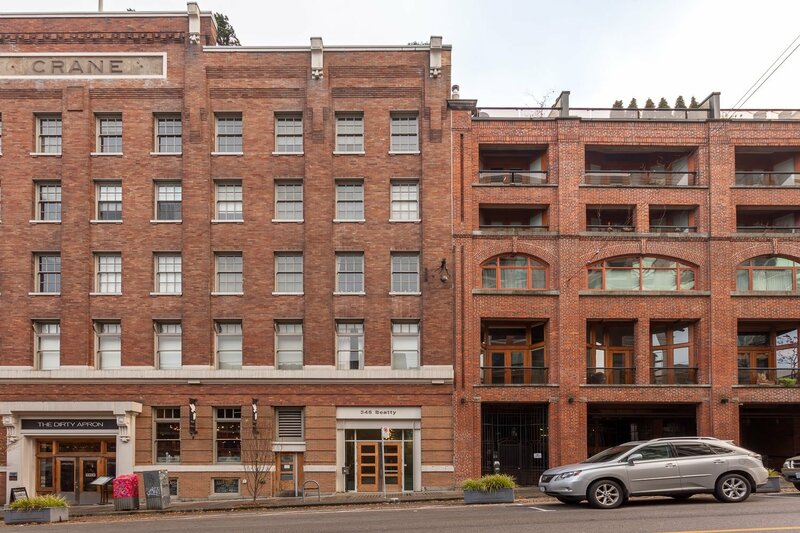 This beautiful 2009 heritage conversion Vancouver loft building in Crosstown is amongst the most desirable loft buildings in the whole city. 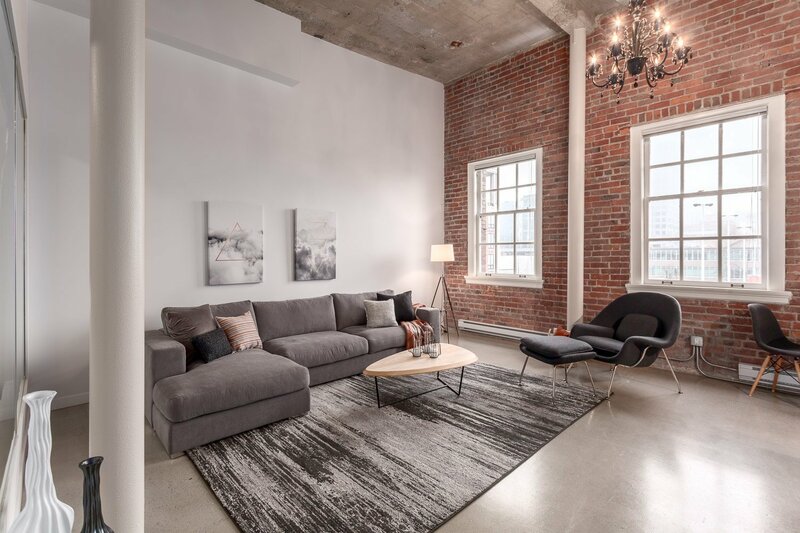 Designed by Howard Bingham Hill and developed by Townline Homes MetroLiving - known for beautiful heritage and loft style Vancouver buildings, The Crane building, located at 546 Beatty offers many unique features. 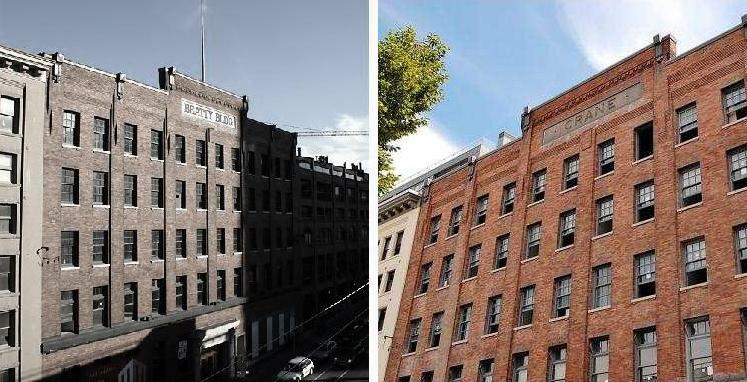 This boutique building was originally a commercial and industrial used building built over 100 years ago. 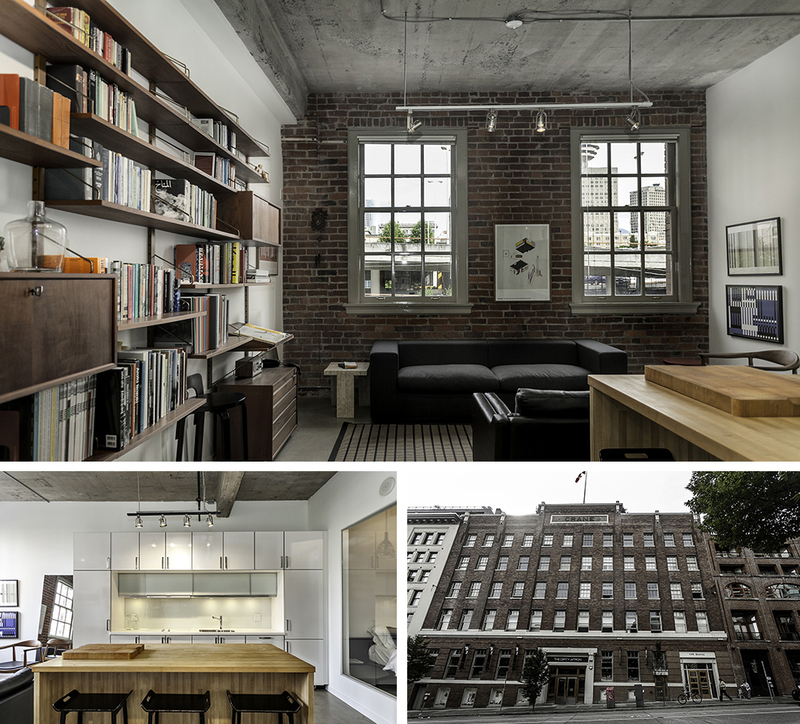 It is now home to New York style high ceilings open plan loft style suites. 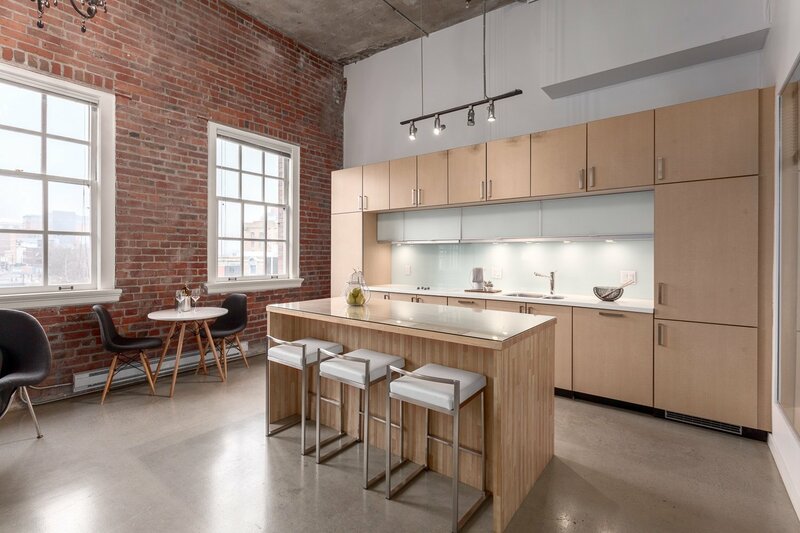 These character lofts feature high ceilings, concrete features such as walls and polished floors, and exposed brick exterior walls. 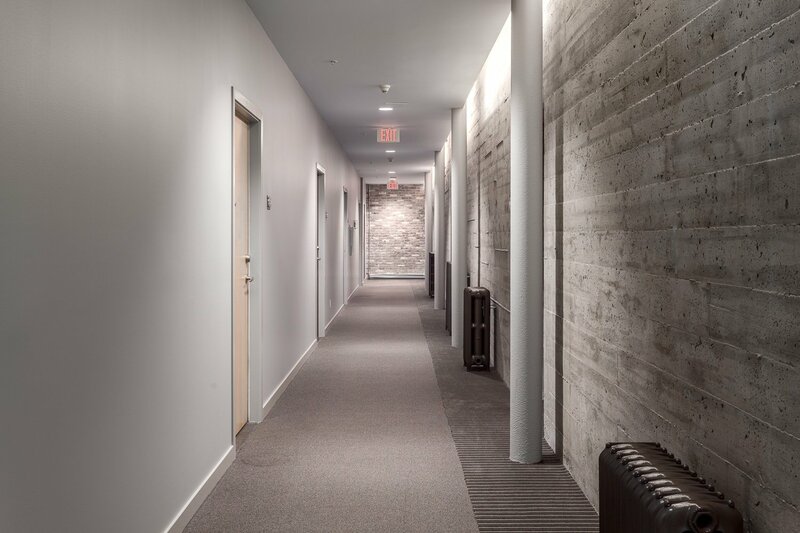 Unique character ranges from ceilings heights of up to 16', exposed concrete and steel beams, and sliding wall systems. 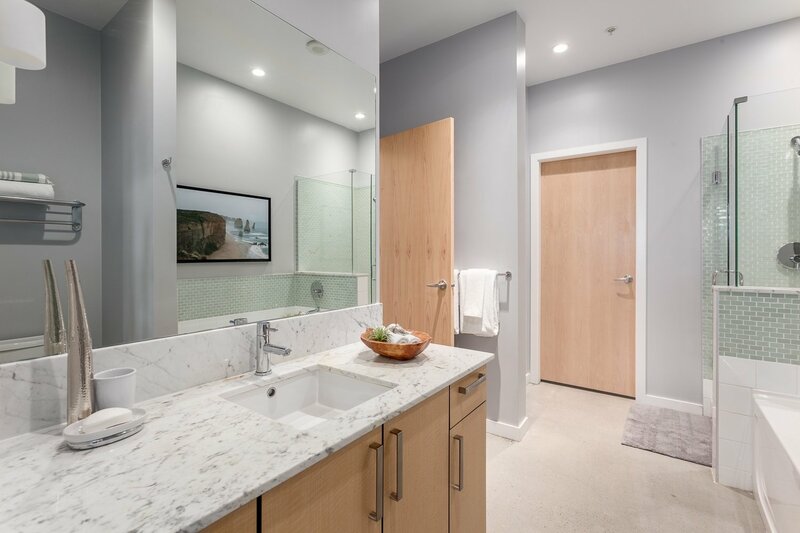 The Kitchens feature seamless glacier white Corian countertops, custom maple butcher blocks, high-gloss white cabinets, Blanco stainless steel under mount sinks, and appliances from Bosch, Liebher, Faber Elite, and Jenn-Air. 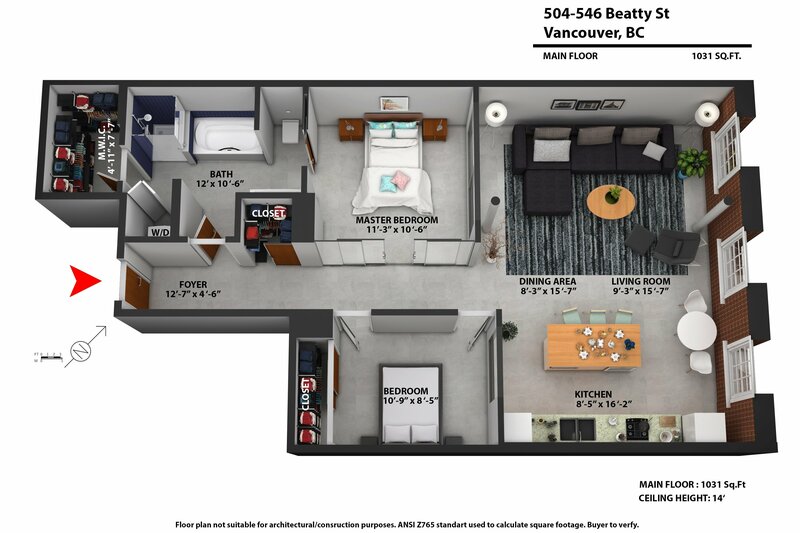 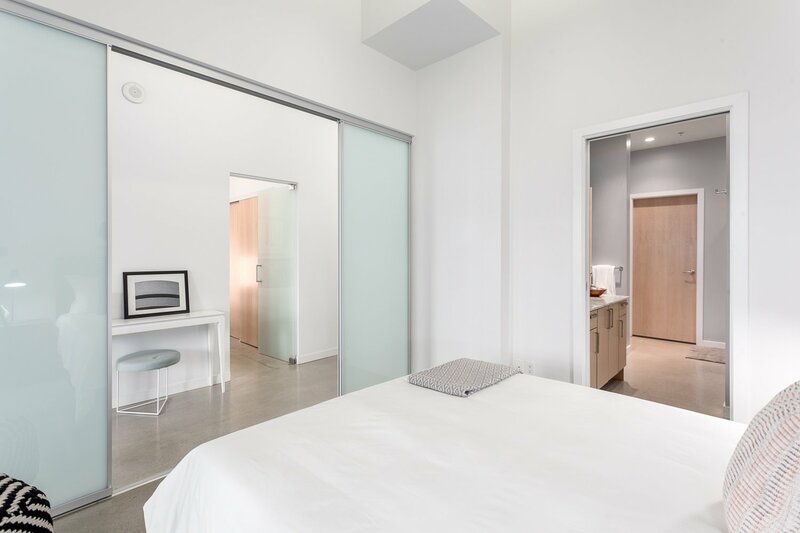 These Vancouver lofts suites are the perfect blend of modern clean designed fully contrasted with old features you cannot find in purely new construction. 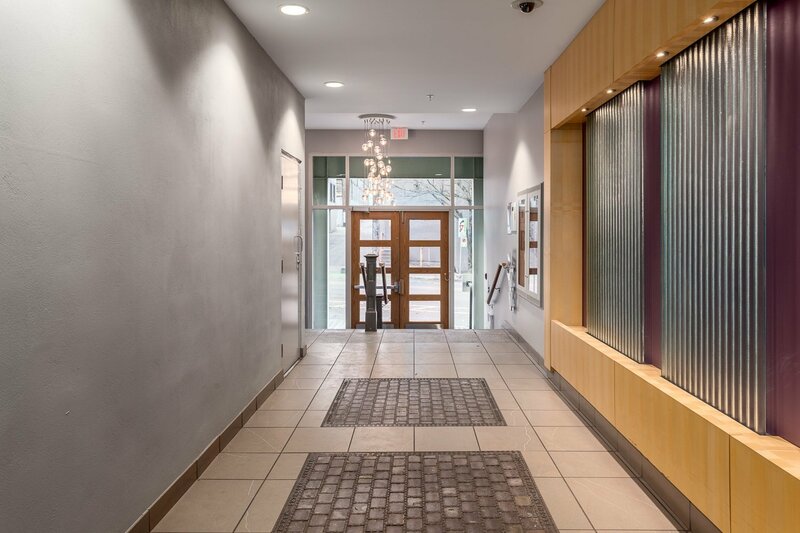 Parking within the building for most suites. 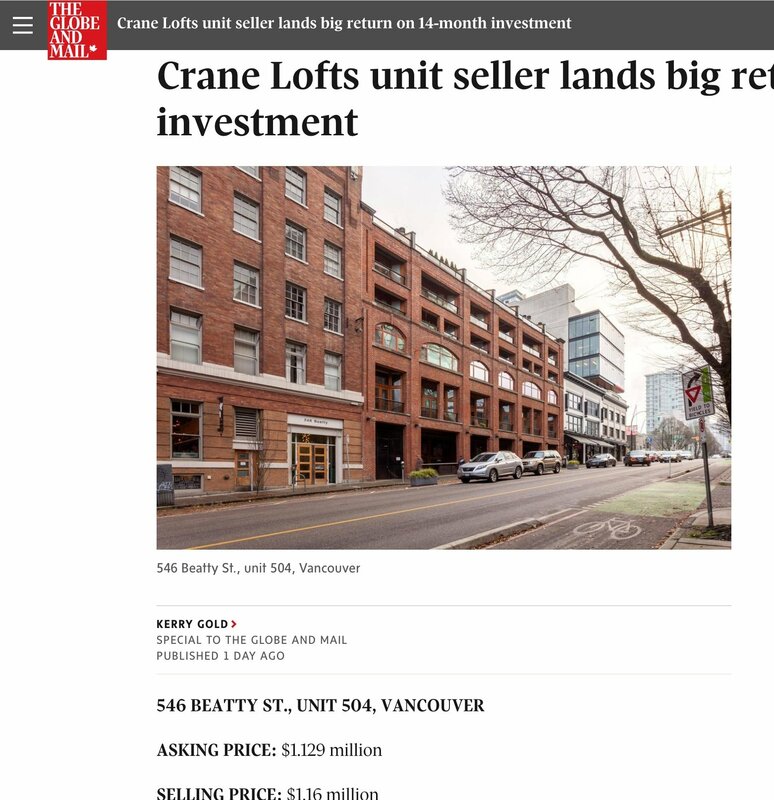 - Globe and Mail "Crane Loft unit seller lands a big return on 14-month investment"
- Urban YVR "Loft with 14' ceilings for sale at The Crane Building"
- Decoist "Historic Loft Brings Together Rich Heritage And Contemporary Comfort"
Sold by Albrighton - #304 546 Beatty St.
Sold by Albrighton - #504 546 Beatty St.
Sold by Albrighton - #207 546 Beatty St. 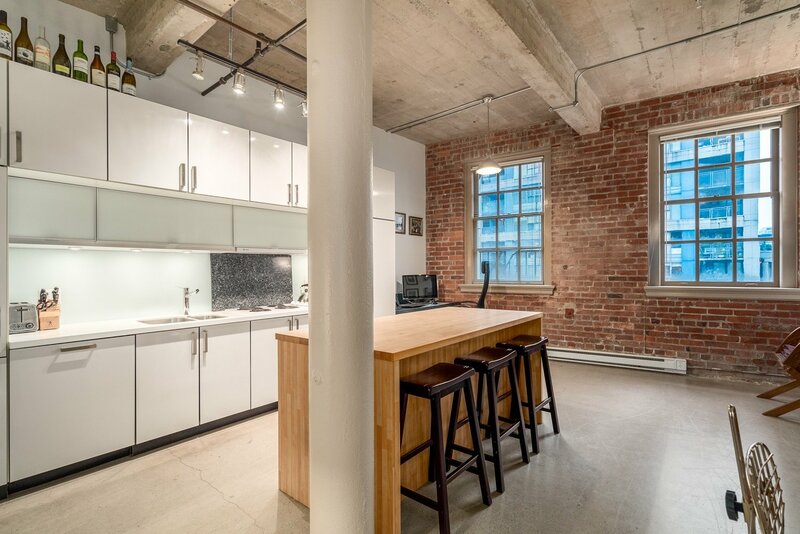 Contact Paul Albrighton for more information on buying or selling a loft at 546 Beatty St / Crane Lofts. 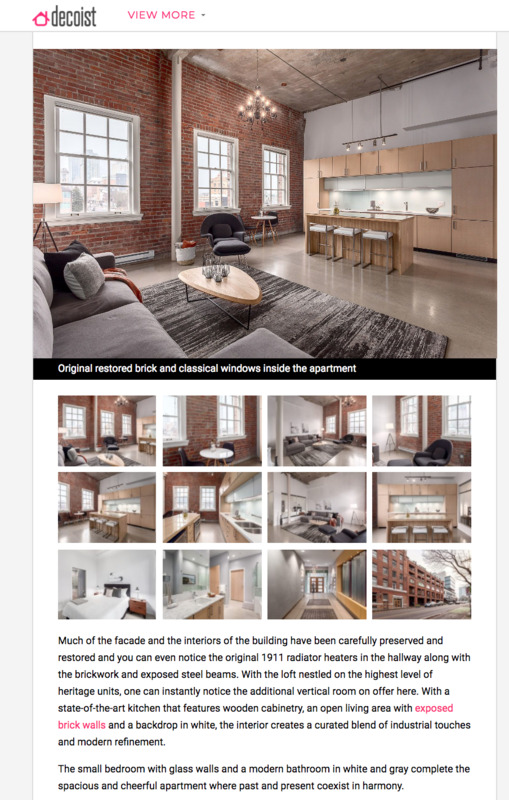 Posted by Paul Albrighton. 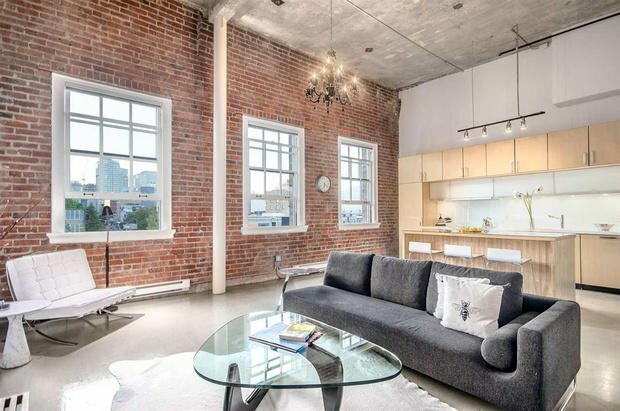 Crosstown Vancouver lofts. 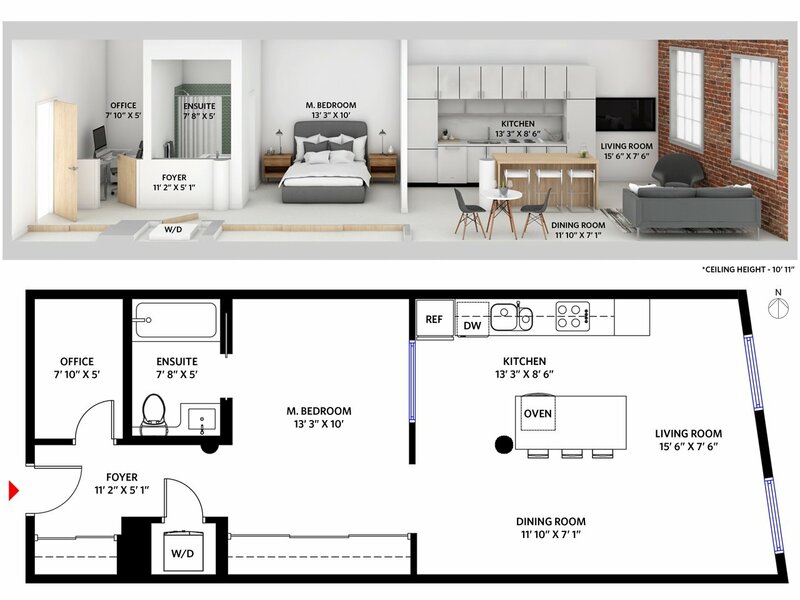 All information is not guaranteed.